Seated from left: Deb Schwaan, Ryan Schroeder, Diane Morrison; standing from left: Greg Pryor, Mike Heine, Karen Heine, Alex Beauchamp, Kathy Springhorn, Christine Gulifoyle, Rick Heine, Marilyn Carlson, Steve Carlson, Steve Cass; not pictured: Brian Bickle. Lions Club International celebrated 100 years of existence, having been formed in Chicago on June 7, 2017. 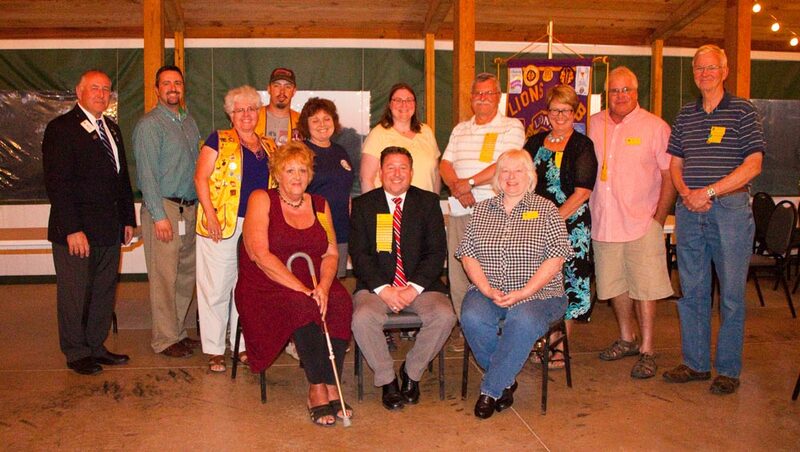 During the week that Lions Club International celebrated its century of service and making communities better, the Delavan Lions Club installed its 2017-18 Board members. Installing the board at a special meeting at Greenie’s Clubhouse Restaurant Monday, June 5, was Past District 27-A1 Governor Greg Pryor. We look forward to another year of continuing to serve the Delavan community, surrounding areas and state of Wisconsin! For more information about joining the club, visit https://delavanlionsclub.org/join/ or call 262-728-1978.